"Are you the Father? Are you SURE!? Take the Test Know the Truth...Feel Better!" DNA Paternity Test Austin Texas, DNA Assured 512-480-8378, Austin DNA Paternity Test $295 Court Approved. Also available: DNA Paternity Test San Antonio Texas, DNA Paternity Test Houston Texas, DNA Paternity Test Dallas Texas and DNA Paternity Test Corpus Christi. Do you know that the lowest price, court-approved DNA Test is in Texas Assured DNA is the lowest price, AABB, DNA CourtApproved -Paternity Testing Center throughout the United States. We stand behind our statement! Should you find a price lower than Assured DNA's price, simply forward the ad or company name to our attention and will beat or match the price. We pride ourselves on our excellent customer service and affordable, low price! DNA Assured, we are the lowest priced $295! Court Approved, AABB, Payment Plan. DNA Paternity Test, DNA Assured leads the way in DNA Paternity Testing. Find out the truth today! DNA Assured offers fast,accurate, discreet and reliable DNA Paternity Testing Center. Since 2003, we have performed thousands of DNA Paternity Test throughout the United States and International countries on people ranging from celebrities, musicians, police officers, lawyers, doctors etc. No matter who you are - "We are here to help you not Judge you" DNA Assured is a private DNA Paternity Testing facility. Everyone is treated with star quality! Our goal is to help you find out the truth through DNA Paternity Testing. We pride ourselves in giving you the up most care and attention you deserve during your DNA Paternity Test. DNA PATERNITY TEST HAVE 15MIN? 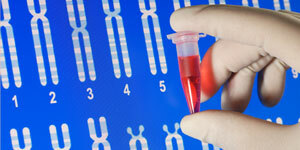 DNA Prenatal Testing is the new trend. It's very popular and growing rapidly. No more waiting 9 months! Now find out in 1 week! DNA Assured specializes in DNA Prenatal Testing at a great price. The positive feed back we've received from our client has been overwhelming. Feel better know the truth before the child is born. As one of our client's put it "This is a celebration knowing I'm the father. I will be involved during her pregnancy! I'm able to tell my parents they will be grandparents. Having to wait 8-9 months was stressing me out man!" At DNA Assured we have performed hundreds of Prenatal DNA Testing throughout the United States. "We are here to help you not Judge you!" DNA Assured is a private DNA Prenatal Testing facility. Your privacey is protected. Call (512) 480-8378. We pride ourselves in giving you the up most care and attention you deserve during your DNA Prenatal Test. DNA Assured - When you need a Austin Deceased DNA Test? DNA Deceased Testing, is rapidly catching on in communities. At DNA Assured, we have processed many DNA Deceased cases throughout the United States. The message is spreading fast of the importance of getting a DNA Deceased Test. Nobody dreams of having to bury a love one but it happends. We see so many people needing this service. Protect yourself from false allegations. People seem to appear once the deceased has past on, especially knowing property and inheritance is at stake. Also, the State will challenge you if you are applying for death benefits of the deceased. Usually birth certificates don't work. They want to see some stronger as proof and evidence such as a DNA Test Relationship. Why spend thousands of dollars hiring lawyers and fighting the allegations in probate court when all you need is a DNA Test to prove the truth. DNA Deceased Testing, is offer throughout all 50 United States. DNA Deceased Testing can be time consuming. If you need this service please call our office asap! (512) 480-8378. We are here to help you! 4. RESULTS - DNA Deceased Results received in 2-3 weeks depending on city and state. G. Thomas, San Marcos Texas. DNA Banking is the best test when preparing for the future. DNA Assured will collect and store his/her DNA Sample for 15yrs. You will be given a certificate naming you as (Primary),person in charge of the stored DNA Samples. Remember should you become ill and unable to make decisons you can name a (secondary), a person able to make decsions for the stored DNA Samples. This procedure is growing widely in popularity. Protect and save yourself the stress, get your love ones DNA Sample Collected today. This test will save you thousands in legal fees. 2. Identifies inherited traits of physical characteristics and or diseases. 3. Helps you with indentifying missing persons. 4. DNA Banking commonly used for elderly and people in high risk professions such as Military, law enforcement etc. DNA Immigration Testing, since 2003 DNA Assured has performed thousands of, DNA Immigration Testing. We have the experience you need. Need to get a Visa or Passport call us (512) 480-8378 or 1-888-255-8308. Whe get the job done. Immigration Lawyers love us. We make it simple for our clients. Heres what you need to know about DNA Immigration. Most AABB Accredited Laboratories are not located in your cities, so DNA Collectors are used to get the process done. Our AABB Accredited Laboratory is DDC. Here is the AABB Accredited website..http://www.aabb.org/sa/facilities/pages/rtestaccrfac.aspx, Weather you test directly through an AABB Accredited Lab or a DNA Collector it's the same court approved test document you need to show as proof and evidence for any Embassy. The only major difference is Cost. Scheduling your DNA Immigration Test through an AABB Accredited Laboratory will cost you hundreds more than a DNA Collection Site. At DNA Assured we are here to help you! DNA Paternity Fraud occurs when a woman has a child but misrepresents to a man who is the actual father. Usually the woman does not tell the true father that he is the actual father. In paternity fraud there are two men being defrauded – the falsely accused man and the biological father. Prior Texas law barred a man who was found (or adjudicated) to be the father from ever again challenging his paternity, or his duty to pay child support, even if the mother of the child flaunted the fact that the man was not the father of the child. Effective May 12, 2011 , a new statute, the Texas DNA Paternity Fraud Law, gives relief to men who have erroneously been found to be the father of a child and allows a father to terminate his parental rights. If the alleged father can prove through DNA testing that the child he is ordered to pay support for is not biologically his, then he would be released from his child support obligation. In Texas, there is a four-year statute of limitations for challenging paternity. Until the new law went into effect, if mistaken paternity was not timely identified and legally challenged, Texas law prohibited a later paternity challenge by the child's presumed father. As a result, many victims of paternity fraud have paid child support even though DNA testing excluded them as the father. The new law provides a procedure for victims of paternity fraud to challenge their alleged paternity even though the four-year limitations period may have run. To take advantage of the new law, a man must file a paternity challenge before September 1, 2012. After September 1, 2012, a man may challenge paternity no later than the first anniversary of the date on which he first learned that he is not the child's biological father. Only certain situations fall within the new law-specifically, where there was no genetic testing and (i) a man was held by a court to be the father of a child, or (ii) a man signed an acknowledgement of paternity based on misrepresentations by the mother that he is the child's father. Paternity, however, may not be challenged under the new law if (i) the man adopted the child, (ii) the child was conceived by assisted reproduction agreed to by the man, or (iii) the man is the child's intended father under a gestational agreement approved by a court. Through DNA Paternity Testing, thousands of men have been excluded as the biological father of children they mistakenly believed to be their kids. Some common mistakes: At the time a child is born, if the parties are NOT married, the mother and the alleged father are given a packet of paperwork containing forms such as a birth certificate application and an Acknowledgement of Paternity better known as an "AOP". Once a father signs the AOP, he cannot request DNA testing through the Office of the Attorney General. Instead, he must spend money to hire an attorney to file a Petition to Rescind or Set Aside the AOP, which requires more time and cost. While signing an AOP does confer upon the father a finding of paternity along with rights of a parent, signing an AOP is damaging and costly, particularly if there is a good chance you are NOT the father. At Assured DNA, we are here to help. Please call us at (512) 480-8378, for more information on this topic. 1. If you suspect you may not be the biological father of the child, do NOT sign the Acknowledgement of Paternity (AOP). 2. Many fathers are confused about their rights and the mothers consent to DNA Testing. "You do not need the mothers consent for a DNA Test". You already have the consent. Heres how. If the mother of the child names you the father of her child. The consent was given to you at that time to act and make decisions for your allege child. 3. If you take a DNA test without the mother's participation, it is NOT a good idea to disclose to her DNA test results that reveal you ARE the father. Only disclose if you have been excluded as the father, you are NOT the father of the child. 4. Most clients wanting a DNA Test assume they are unable to take the test due to the child or the alleged father residing in another city or state. That is false. Our company has the ability to test parties at different locations on a daily basis. The procedure is easy. First, we ask for your physical address to find a DNA Testing site with our company in a location near you. Second, using our database, we find the closest DNA Testing site for your city. In many cases, DNA Testing sites are located within minutes of our client's address. 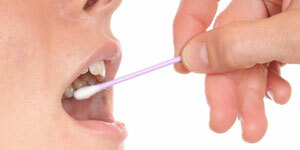 Once you agree to use our services, Assured DNA coordinates with another DNA Testing site that will collect your DNA. You would then be given the DNA Testing site contact information. At your convenience, you call and schedule your appointment. There is an additional fee of $50.00, for this procedure. If you need more information on testing individuals in different locations, please feel free to call our office at (512) 480-8378. Click here! Schedule a DNA Paternity Test in your city. It's easy! We do all the work for you. © 2014 DNA Assured Testing | *AABB Accredited (*AABB accreditation is through DDC Labs) and FQS-I Certified.